Theater House “Jūras vārti” is a modern, dynamic and internationally competitive cultural center of regional significance. Theatre House’s new website can be described using the same words. Design is based on the distinctive colors of the cultural center and latest design trends as well as complemented with thoughtful usability for website’s visitors. 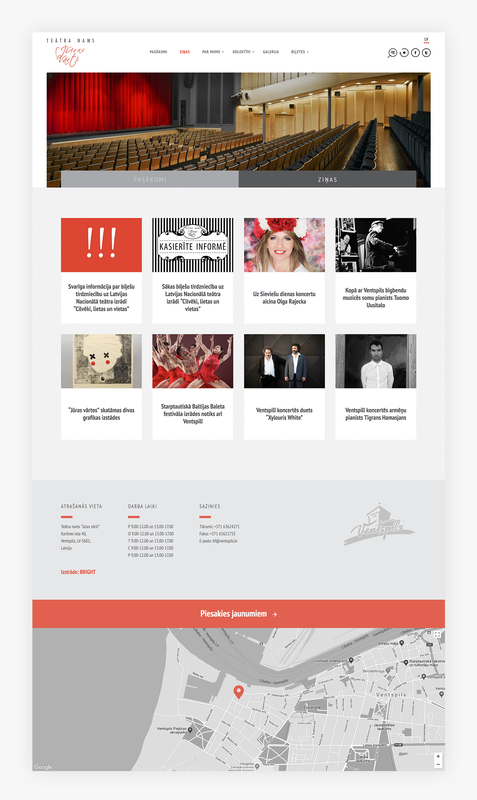 Emphasizing the most important – events taking place in the Theater House – in website’s development special attention was paid to the repertoire. Website’s visitor can find out the most important information about the upcoming events already in the front page, as well as review events scheduled in both – list and calendars view.